Twitch Metastream is a feature that allows broadcasters to customize their streams with overlays of statistics and events from their game session. Using any web authoring tool, such as Dreamweaver or CoffeeCup, broadcasters can create custom HTML5 pages to control the information, graphics, layout, and behavior of each unique overlay. With Metastream, broadcasters can create more polished, interactive viewing experiences on any of their favorite streaming services, similar to what you see in professional Esports and TV broadcasts. Broadcasters can switch between different graphic overlays that are timed to game events. They can also use a picture-in-picture style to display complementary information such as a minimap and live team stats. Enable the Metastream gem in your project. Add a single line of code for each event you want broadcasters to access. Twitch Metastream is supported on Windows only. Enable the Metastream gem in your project to turn on the local HTTP Metastream server that is included with Lumberyard. To enable the Metastream gem, see Enabling Gems. After you enable Metastream, an HTTP server is embedded into the game client and serves as the access point for exposed data. You can set the following options for the HTTP server. Read-only console variable (CVAR) that describes the current state of the embedded HTTP server. 0 = disabled. 1 = enabled. Sets the options for the embedded HTTP server. Options are a set of semicolon separated key=value pairs. If a key value requires a semi-colon character ';' or the equal character '=' you may use the $semi macro or $equ. Files that you place inside the document root will be served by the HTTP server. See Accessing Data through the HTTP API. Metastream exposes data through the C++ API or the Metastream:CacheData flow graph node. bool result; // True when the server is successfully started, false when an error occurs. Attempting to start the HTTP server when it is already running has no effect, and the call returns true. If the server is not running, attempting to stop the server has no effect. The Metastream Gem uses a simple API to expose in-game data using the EBus system. See Accessing Data through the HTTP API for these values. Currently, the Metastream API supports UTF8 strings, bools, Vec3, doubles, signed and unsigned 64-bit values. The EBus system requires these calls to be discrete. This API allows you to add values to objects and/or arrays and the cache. This allows for a fully flexible system in exposing data to a Web client. The value to add. If the value exists, it is updated. If the value type is bool, it is represented in the JSON doc as true or false. Signed, unsigned, and double types are represented as JSON numbers; strings are UTF8 and will be escaped, if necessary. The name of the array to add. If no array exists, then empty array is added. The array is deleted after it is added to the cache. The name of the object to add. If no object exists, then a NULL object is added. The object is deleted after it is added to the cache. None of the above returns any values. The name of the array to add. If no array exists, then an empty array is added. The array is deleted after it is added to the cache. The value to add to the array. If value type is bool, it is represented in the JSON doc as true or false. Signed, unsigned, and double types are represented as JSON numbers; strings are UTF8 and will be escaped, if necessary. The name of the array to add to. If no array exists, one is created. The name of destination array to add to. If no array exists, one is created. The name of the object to add to the array. If no object exists, then a NULL object is added. The object is deleted after it is added to the cache. The name of the object to add. If no object exists, then one is created. The value to add. If the value exists, it is updated. If value type is bool, it is represented in the JSON doc as true or false. Signed, unsigned, and double types are represented as JSON numbers; strings are UTF8 and will be escaped, if necessary. The name of the array to add to. If no array exists, one is created. The array is deleted after it is added to the object. Any value that is added to the cache should be JSON compliant. For information, see the JSON RFC. The following example shows how to reflect the system information. Basically all of the info is added to a object name, sysInfo, and this object is then added to the cache as systeminfo. As of Lumberyard 1.10, Twitch Metastream reflects using the behavior context, which enables you to use Metastream through Script Canvas and Lua. The Metastream:HTTPServer node controls the embedded HTTP server:. Starts the embedded HTTP server. Stops the embedded HTTP server. Triggers an output when the server start or stop is finished. Triggers an output of true if an error occurs. 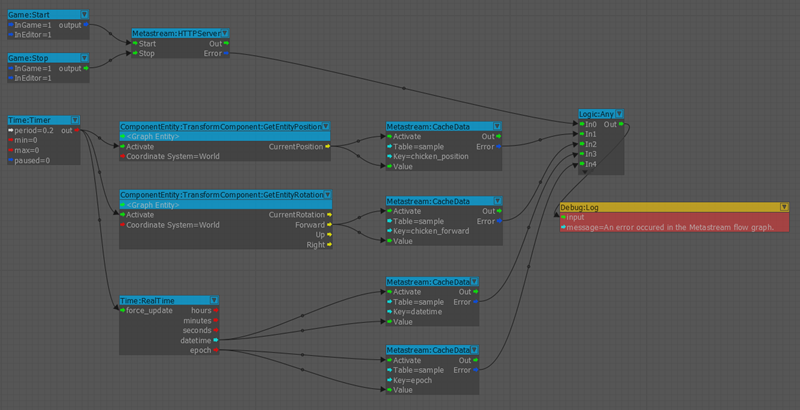 The Metastream:CacheData node exposes in-game data using the flow graph. Writes or updates the key-value pair in the specified table and exposes it through Metastream. Writes the key-value pair to the specified table. Writes the value to Metastream and automatically converts the value to meet JSON compliance. Triggers an output when the data is successfully written to Metastream. Signals with true if an error occurred. Serves a file from the document root. File types include HTML, JS, CSS, images, sounds, resources, or assets. The data path is reserved for Metastream data. Files that are saved to the document_root/data/ directory will not be accessible. Returns a list of available Metastream tables that contain key=value pairs. Returns a list of all Metastream keys in the specified table. Returns the value for the specified key in the specified table. Multiple key=value pairs can be retrieved in a single request by listing the desired keys separated by commas. For example, http://localhost:8082/data?table=sample&key=key1,key2,key3. Located in the \dev\SamplesProject\Levels\Samples\Metastream_Sample directory, the Metastream sample level demonstrates how to expose data through the flow graph. In conjunction with the sample level, the Metastream sample HTML file (located in the \dev\Gems\Metastream\Files directory) shows how to use the data to create a simple, dynamic overlay. These overlays can provide a more engaging experience for viewers without creating visual clutter on a broadcaster's game screen. The following is the flow graph from the Metastream sample level. 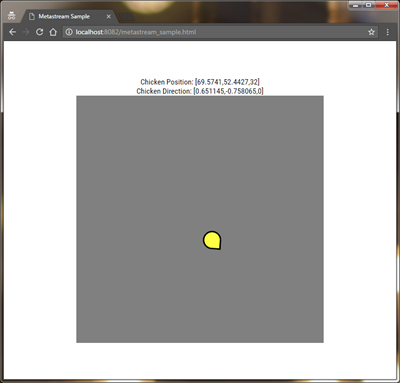 The sample overlay file metastream_sample.html" (located in dev/Gems/Metastream/Files) is shown here rendered in Chrome. 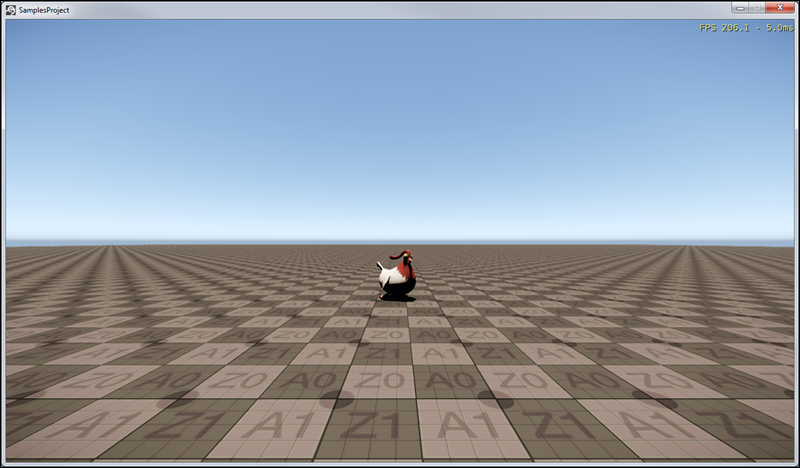 The position and direction of the yellow pin update dynamically to represent the position and orientation of the chicken in the sample level. 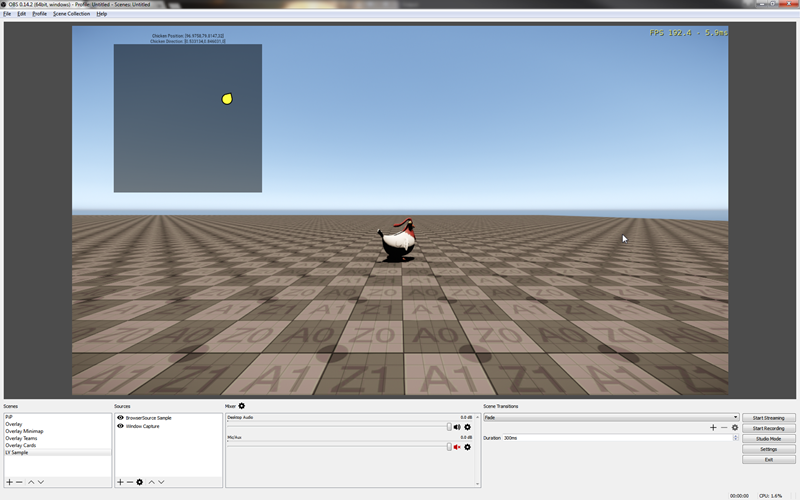 The following example shows the overlay rendered on top of the game stream. 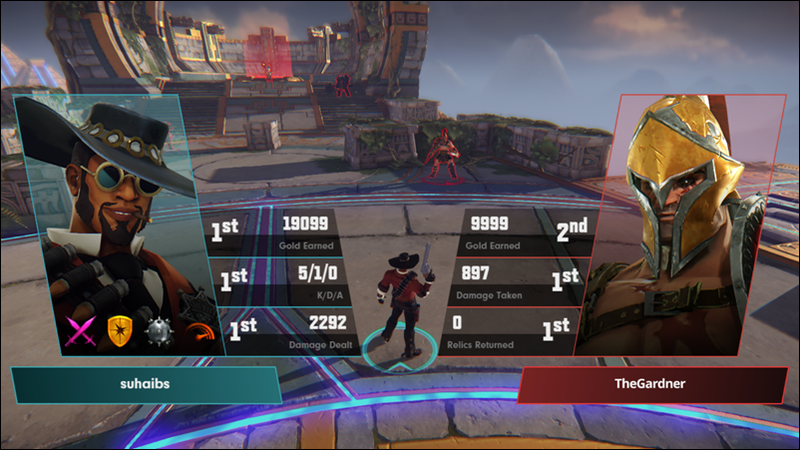 The following example from Amazon Game Studios' game Breakaway shows an overlay with stats from the two leaders in a match.